Enquire with Bouden Coach Travel for your executive minibus hire requirements. Call 0800 112 3770 to speak to our inhouse team. We have minibuses to hire in many different sizes, all of which are perfect for corporate clients looking for that little extra style and comfort. Executive minibuses are very popular for events, business travel, weddings, tours and sports team transport. Here at Bouden Travel we offer executive and luxury minibuses at budget friendly prices. Call 0800 112 3770 to speak to a member of our in house team regarding your minibus requirements. 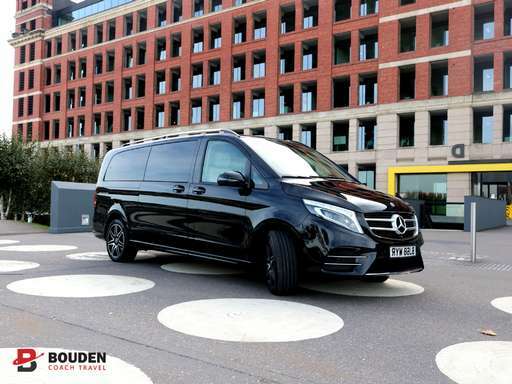 Bouden Travel’s executive fleet comes much better equipped then a standard minibus, you can expect to find part/full leather seats, air conditioning, climate control, privacy glass windows and over head lights, we have a large fleet of minibuses so the spec varies from minibus to minibus. Call 0800 112 3770 to enquire, we promise to have the perfect executive minibus for you. We will pick you up from any location and transport you from A to B in style. CLICK HERE FOR AN ONLINE QUOTE. We offer only the best in affordable executive minibus hire here at Bouden Coach Travel. No matter what size your group may be or what budget you have we guarantee to have something perfect for your minibus hire requirements.